Mysterious plumes of radioactive iodine-131 are turning up all throughout Europe, sources say, but authorities are at a loss as to where they’re coming from. Reports indicate that Spain, France, Germany, Poland, Finland, Norway, and the Czech Republic have all detected very low levels of the nuclear substance, but that the source of this exposure remains shrouded in uncertainty. The earliest detections came out of Norway back in January at an air filter station in the town of Svanhovd, located just a few hundred meters from Norway’s border with Russia’s Kola Peninsula. The Barent Observer says it wasn’t long after that the same radioactive particles were detected at a station in Rovaniemi, Finland. Just a few weeks later, radiation detection equipment in Poland, the Czech Republic, German, France, and Spain all gave a similar reading. While Norway was the first to detect radioactive iodine-131, France was the first to actually report on it. A press release issued by France’s Institute de Radioprotection et de Süreté Nucléaire (IRSN) stated that the radioactive releases were first picked up during the second week of January in the northern region of Norway, sparking concerns of another potential Fukushima disaster in the making. Norwegian officials are saying the same thing, arguing that they didn’t even think it necessary to report on the radiation levels due to their low concentration, hence this country’s media blackout of the situation. This is why Norway failed to properly notify the public about the findings back in January, and only reluctantly did so later after the IRSN report was issued by France. “We do measure small amounts of radioactivity in air from time to time because we have very sensitive measuring equipment,” Norwegian Radiation Protection Authority (NRPA) head Astrid Liland told the Barents Observer. Ironically enough, the two other countries besides Norway that detected radiation early on and reported on it, Finland and France, showed much lower levels than in Norway. These two countries showed radiation levels of between 0.27-0.3 becquerels per cubic meter of air (uBq/m3) and between 0.1-0.31 uBq/m2 of iodine-131, respectively, while in Norway levels were detected at 0.5 uBq/m3 of iodine-131. 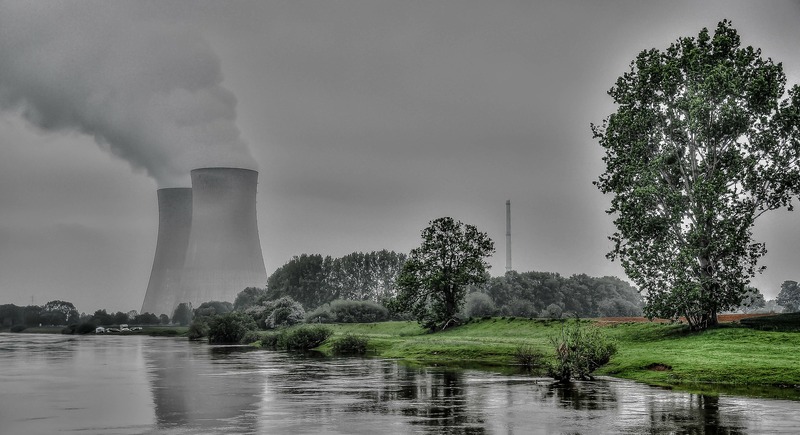 NRPA’s Liland says the source of radiation remains elusive because of “rough weather.” She did say, however, that it could be from somewhere in Eastern Europe, possibly from a nuclear reactor somewhere. Iodine-131 is also present in some medical devices, though it is unlikely that the releases came from either these or the facilities that manufacture them because the levels would be too low. Another theory is that the radiation could have come from Russian nuclear submarines, which have been increasingly mobile over the past several months. According to The Sun (U.K.), the highest radiation levels thus far have been detected in Poland, though even these levels are low enough as to not have to declare a state of public health emergency.